Welcome to the Roxhill Champions site! We’re a group of neighborhood volunteers working to make our park cleaner, safer and full of fun events. Check out our blog to see what events we archived in our first summer! We’re now in the process of implementing safety improvements and planning our community events calendar for Spring/Summer 2019. 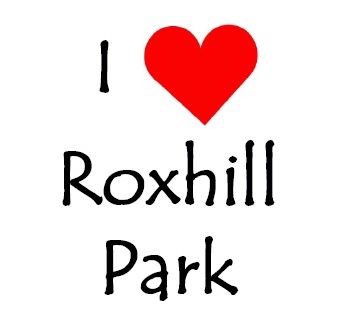 To keep in touch sign up for our email list, or get in touch to share your ideas for Roxhill! We’re in the process of developing a complete map of Roxhill Park that will identify the Park Amenities, Signage, Trail System and Wetland Zones. We’ll be using this map to identify and implement improvements to the park. If you’d like to work on this map project get in touch. Success! Wall-E screens in Roxhill Park. Local kids and adults alike have fun! Thank You to All who turned out to enjoy our first outdoor movie. Wall-E! Everyone did a GREAT job picking up after the show was over. And how fun was it to say hello and sit with to all the familiar faces of people we see in Roxhill Park! Coverage courtesy of the West Seattle Blog for the event is here. Roxhill Park Wins Your Voice Your Choice Grant! We are proud to announce that Roxhill Park has been awarded $80,000 towards trail improvements in the park! Roxhill Park Champions will be working with the Department of Neighborhoods and Seattle Parks and Recreation in November/December to provide community input on where these dollars could be best leveraged to fix our trails. Want to get involved in the safety and stewardship of our park? Get in touch!